We all have them -- small bits of yarn that are left over after a project is complete. Everyone hates to throw them away, but figuring out what to do with them can always be a challenge. There are plenty of small projects that can be easily completed with skein remnants from our completed crochet projects. A great example is a coffee cup cozy. When many of us go to our local coffee shop, we use disposable cardboard sleeves to avoid dealing with a very hot cup. By crocheting up a coffee cup cozy, you can create your own unique project, use up some left-over yarn and avoid adding to landfills. We have all made granny squares at one point or another. These are great projects that can be joined to make a variety of items. From cotton dishcloths to placemats to entire afghans, the possibilities are endless. A really fun project for small bits of yarn is called a "magic ball." 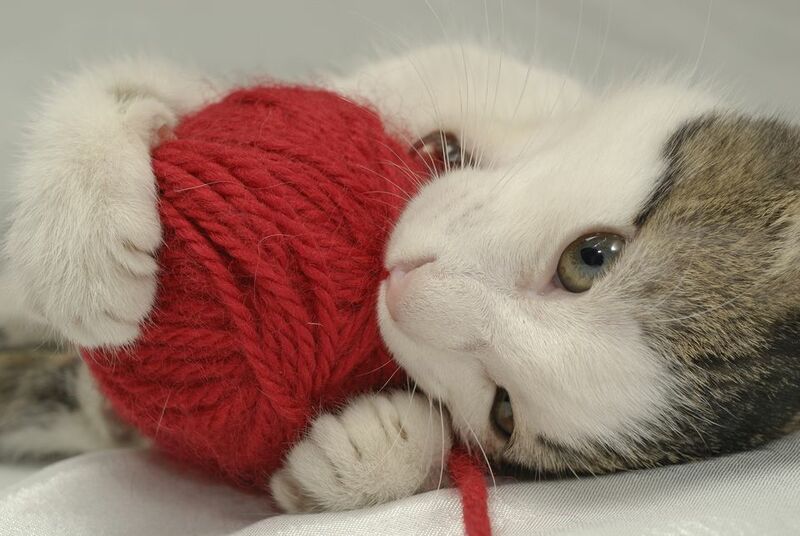 All your saved small amounts of yarn are tied end-to-end until a large amount is accumulated into a ball. Then make a project of any size you would like. The "rule" here is that you use the yarn exactly as you tied them together. No re-tying or re-ordering the yarn as you get to it in order to adjust the color order. Consider keeping the yarn tails loose - not woven in - to make a reversible project. Smooth on one side and fuzzy on the other with all the yarn tails. You could wind up with a really colorful and funky project! There are plenty of kitchen projects that can be completed using small amounts of yarn left over from larger projects. If you have some cotton around, there are plenty of crochet dishcloth patterns and coaster patterns to be had. Bulkier yarns can be used to create trivets and pot holders. You could even use that magic ball to create a floor mat for use in front of the sink. There are also lots of small gift items that can be created using skein remnants. A great gift that girls just love is hair scrunchies. I even use them as bows on wrapped gifts instead of a traditional bow that will get thrown away. Headbands are another little item that could go with a new outfit for our little ones. Cell Phones, Bookmarks, and Yarn - Oh My! Just about everyone has a cell phone today, so a cell phone cozy can also provide a unique gift for someone special. Even small crochet gift bags can make a great gift in itself that can house a small gift or a bookmark to go with a new book. As you can see, the possibilities are endless. Just remember to never throw away those yarn scraps. You never know what you could create with them. I learned about the "magic ball" technique from the Free Form Crochet Guild.